Welcome to Day 4 of the The ABC's of Valentines Crafts, Recipes and Kid's Activities! Yesterday, I featured yummy Valentine's snacks, but today is 100% calories free! It's time to check out U & V of this special series. U is for Unconditional Love - In the spirit of the holiday, KC Adventures shows us 6 Easy Ways to Love Your Child on Valentine's Day. These ideas are simple, full of love and fun! 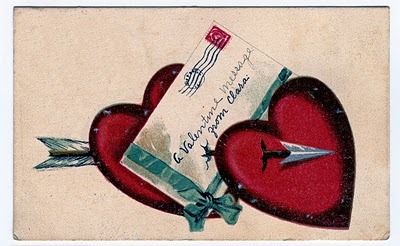 If you're loving this Valentine cip art, head on over to the Graphics Fairy Website to see her amazing collection of vintage Valentine images. I think I'm going to print out some of these images and let my kids make homemade Valentine's cards this year. What do you think?